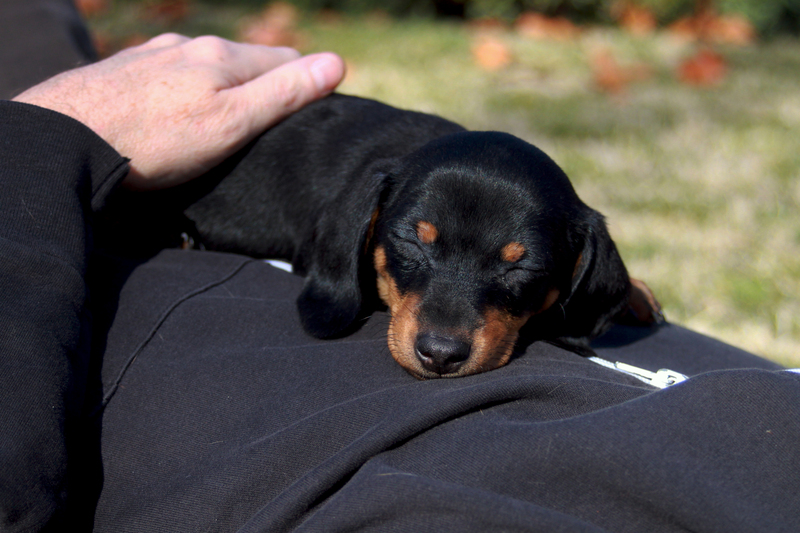 Today we took possession of an 8-week old black and tan puppy from our local rescue (Dachshund Rescue and Placement). Out of the three available puppies, this doxie’s sweet disposition complemented Rufus’ best. The pup is a foster with a strong possibility of becoming a permanent member of our family, if she ends up being a match for Rufus. Stay tuned for future pictures and updates. 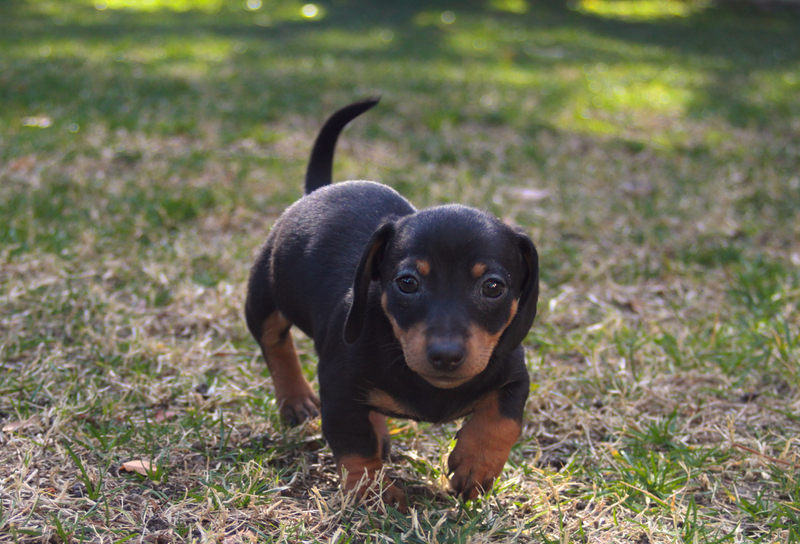 This entry was posted in Emily and tagged #dachshund puppy. Bookmark the permalink. OMG…she is an Aly Claire baby…I might have to come play with her. mmmm….she’s delicious. Her markings are lovely. oh my goodness! she is soooo cute! i love puppies!! Rufus is a perfect role model for her! Spoil her rotten… the only way to go for cute doxies like this one! Paris France would have loved as a little sister.